Update: Microsoft Windows 10 build 16199 for PC and mobile 15215 is now rolling out for Fast Ring Insiders. Check out what’s new in this Insider preview build. Emotive Experience in My People: The next wave of cool features for My People is now available for Windows Insiders! In addition to being able to place your favorite people to the taskbar, today’s build brings even more personal ways to stay in touch and share with the people closest to you. See emoji from your pinned contacts: When you receive emoji from your pinned contacts you can now watch them appear and animate right from the taskbar! Have one of your pinned contacts send you an emoji via Skype (for example “(hero)”) and see what happens! If you’d like to turn this off, open taskbar settings by right-clicking on the taskbar. Notification Badging: The contacts pinned to your taskbar will now display a counter if there are unseen messages, ensuring you have at-a-glance access to communications you have missed from your pinned contacts. Note: You might need to update Skype to version 11.16.556.0 to see notification badges when new Skype messages come in. People-first Sharing: You now have two easy ways to share with your people in Windows 10! Drag-and-drop files directly onto the contacts in your taskbar to start an email, or share directly to your contacts via the share picker by choosing from a list recommended people to email. Improved Game Settings: Made some improvements and adjustments that PC gamers will enjoy via Settings > Gaming and the Windows Game bar (WIN + G). Broadcast using game-only audio: Under Settings > Gaming > Broadcasting, you can now choose “Per-app audio” to broadcast using only the game’s audio to Beam as opposed to the audio for your entire PC. Audio settings is now Game DVR in Game bar: We have renamed the Audio settings page under the settings in Game bar to be Game DVR. All Game DVR settings from the general gaming settings page has been moved to be under Game DVR. Per-app audio settings is also included here as well. Note: Windows Insiders will see a “Game Monitor” page under Settings > Gaming for potential future functionality which doesn’t do anything right now. Settings > System > About now integrated with System Health: The About Settings page has been simplified to be accessible to all customers. In addition to the overall UX cleanup, we have also added a health section that pulls in information from the Windows Defender Security Center so you can see your system health at a glance. Tips and Videos in Settings: To help you learn more about your options, we’re starting to add tips and videos to Settings. We’re still growing our collection, but to start with you can find them in under Settings > Ease of Access or Settings > Update & security, a handful of other areas. More content is being added all the time and we’re really hoping to get your help figuring out the best tip content for each page. If you have an idea of a tip that would help your least techie friend or family member, please provide us feedback through the feedback hub! Note: Depending on the size of the Settings window, you will find the tips either at the bottom of the page, or on the side. Expanding Storage Sense’s abilities: During development of the Windows 10 Creators Update, we added the ability to automatically free up space using Storage Sense. We’re continuing to grow this feature, and you can now choose to automatically clean up files that have been unchanged in your Downloads folder for 30 days. Just go to Settings > System > Storage and click on “Change how we free up space” to adjust this setting. Streamlining Narrator Feedback: We’ve updated Narrator so that when you press Caps Lock + E + E while Narrator is running, it will now launch the Feedback Hub. Incoming call notifications: For our Insiders with Android phones, Cortana can now display cross device incoming call notifications! Install the Cortana app on your phone, go to “Settings” > “Sync notifications” and turn on all the Cortana cross-device features. The next time you receive a call, a notification will appear on your Fast ring PC telling you who it is and giving you the option to text back a reply or decline the call. [DEVELOPERS] The XAML designer in Visual Studio 2017 hits an error causing a squiggle error under ThemeResource references to XAML’s generic.xaml resources. Please update to the latest version of Visual Studio 2017 Preview (Version 15.3 – 26510.00) or later. If Visual Studio 2017 Preview is already installed, users can update by starting the Visual Studio Installer, and clicking the Update button. You can confirm you have the right build of Visual Studio Preview by going to Help > About to confirm you are on Version 15.3 (26510.0-Preview) or later. Fixed an issue resulting in many Win32 apps not launching if certain 3rd party antivirus programs were active prior to upgrading. Updated Windows Defender Security Center so as to no longer flag disabled drivers as issues. We have also adjusted the health scan logic so that using maximum brightness when connected to AC power will not flag a warning. Appreciate all who shared feedback on the subject. Updated our migration logic so that going forward from this build the state of rotation lock will be preserved across upgrades. Microsoft Windows 10 build 16199 ISO files will be available later on our website. Original Story: Microsoft Windows 10 build 16199 for PC is now under testing internally. The new Windows 10 Fall Creators Update(Redstone 3) build 10.0.16199.1000 (rs_prerelease.170513-2252) was compiled on May 13, 2017. The company is also testing mobile build 15215 (10.0.15215.0) feature2.170511-2210. Previously, the company released Windows 10 build 16193 to Fast Ring Insider members. The latest Insider Preview build brings new features and other improvements. The company also released Mobile build 10.0.15213.0 feature2 with minor improvements. Windows Insider team is currently running their first Windows 10 Fall Creators Update Bug Bash from May 15th through to 11:59 pm on Sunday, May 21st. It is possible that Windows Insider team may release Windows 10 build 17000 or higher build to fast ring members this week. The company also released a new update for Windows XP, Windows 8 and Windows Server 2003 systems to fix WannaCry ransomware. More details and download link here. 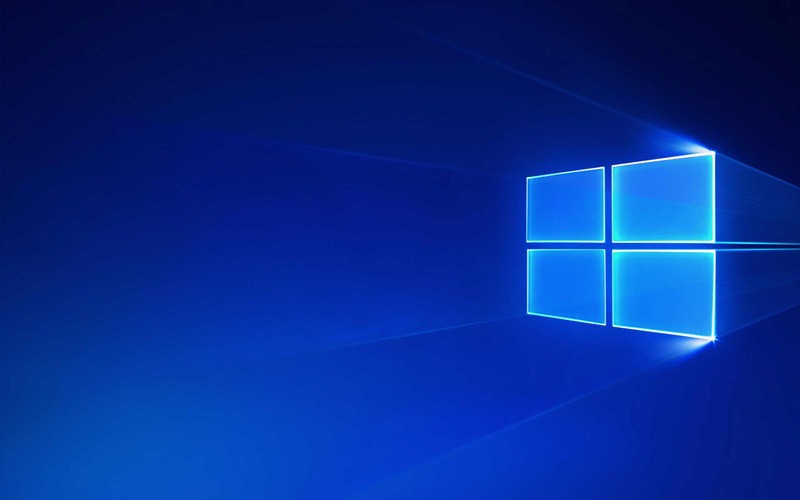 Microsoft’s Windows 10 Fall Creators Update is expected to release in September. Check out what’s new is coming with this major update.